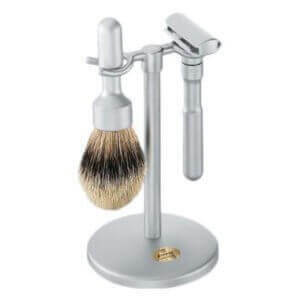 The design is geared as much comfort as style with finger rests rounded into the grip. 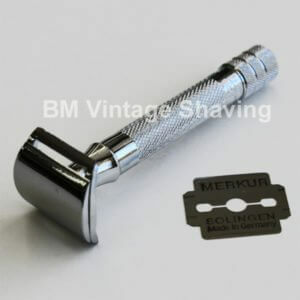 A brand new from Merkur, a contemporary style on the classic double edge safety razor. 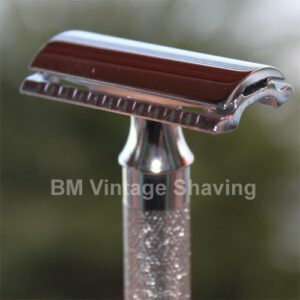 Enhanced with a weighty, extra thick handle that allow the user to apply less pressure resulting in a smooth, comfortable and ultra-enjoyable shave. 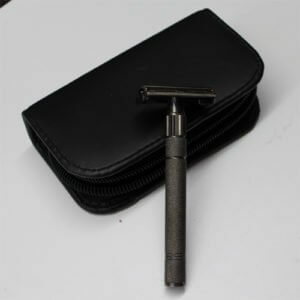 The design is geared as much comfort as style with finger rests rounded into the grip. Finished in a red-brushed chrome.